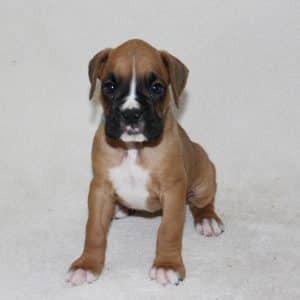 Known as one of America’s favorite dogs, Boxers are silly, sweet and mischievous. They love attention, clowning around with family and friends, are patient and playful with children, and will truly bonding with his human family. They are the type of dog that will lovingly greet its owners at the door with big, slobbery kisses. Don’t be surprised if your Boxer tries to hop in your lap for some snuggle time! 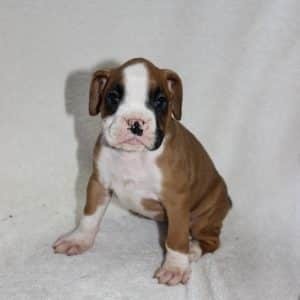 When you are looking for a loyal, loving family pet, who is not only beautiful and stately to look at, but kind and affectionate as well, our Boxer puppies for sale are just the ticket for you!